The push to prevent the Brighton Hippodrome being turned into a cinema shows no sign of abating, with campaigners now urging Brighton and Hove City Council to declare it an asset of community value. This would halt the Kuig Property Investments’ plans to transform it into an eight-screen cinema, cafes, restaurants and shops for six months to let the Our Brighton Hippodrome (OBH) group come up with an alternative scheme – although there is no obligation for Kuig to sell it. Both Saltdean Lido and the Rose Hill Tavern have previously been designated ACVs. The Hippodrome was originally an ice skating rink, but then become a theatre from 1901 to 1965, then a bingo hall until 2007. Its owners Academy Music Group attempted to keep it going as a live music venue, but failed, and are now set to sell it to Kuig Property Investments. However, in February the Ambassador Theatre Group have since said they believe they could successfully run it as a theatre alongside their existing Brighton business, the Theatre Royal. The council now has until 3 September to make a decision. To become an ACV, the land must have contributed to community wellbeing in ‘the recent past’, a term that is not defined in the Localism Act 2011. OBH says they think it would be “churlish to dismiss 110 years of community value on the basis of the past seven years”. Absolutely ridiculous! It hasn’t been a theatre for donkey’s years! I hope the Council will not be so stupid to put any hurdles in the way of redeveloping this building. If this project is thwarted the building will rot because there is NOTHING else on the table. Who else has £20 million??? Cannot believe that people are supporting this petition – they are consigning the lovely old Hippodrome to the rubbish tip – just like the West Pier. Idealistic but not remotely achievable. And sorry folks but believe it or not there are people in Brighton who like eating, drinking and going to the cinema, and would welcome the regeneration of Middle Street. I might visit the theatre once or twice a year but definitely enjoy the cinema much more frequently, I would say monthly, more if the films shown are of interest. Stop holding back this town. 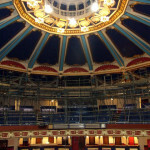 I think u don’t respect value of historic buildings, Brighton has more than enough restaurants an shops, but lacks a real and historic music venue, like most city’s, There ain’t anywhere in Brighton that can accommodate any big and proper music, ok we have the Brighton centre, wot should of been knocked down years ago, an we have the dome wot is like a match box, It’s so small, Many of great bands like,The Beatles who played on three occasions, The Rolling Stones, an even Roy Orbison,So why not put the hippodrome back to its glory days, an let people from all over, say I went to Brighton hippodrome to see……. An wot a amazing venue!!! Are the Ambassador Theatre going to pay for the restoration then? I would be most interested to hear what exactly their “commitment” is to this project. Can anyone elaborate please? Why have OBH only spoken up now a plan has been put forward? Before anyone judges this it is worth looking at the plans. They plan to restore the building and there’s no reason it can’t be something different in the future. The west pier is exactly an example of why this should not be stopped. The council holds residents which made this decision. This is the hippodromes only hope and would only boost the beauty and fun of that heart of Brighton. Let’s hope the wool isn’t pulled over people’s eyes. Beauty and fun would be putting back wot is missed in Brighton a real and historic theatre and music venue, Not some eight screen cinema,when you only have one in west street or the marina !! !